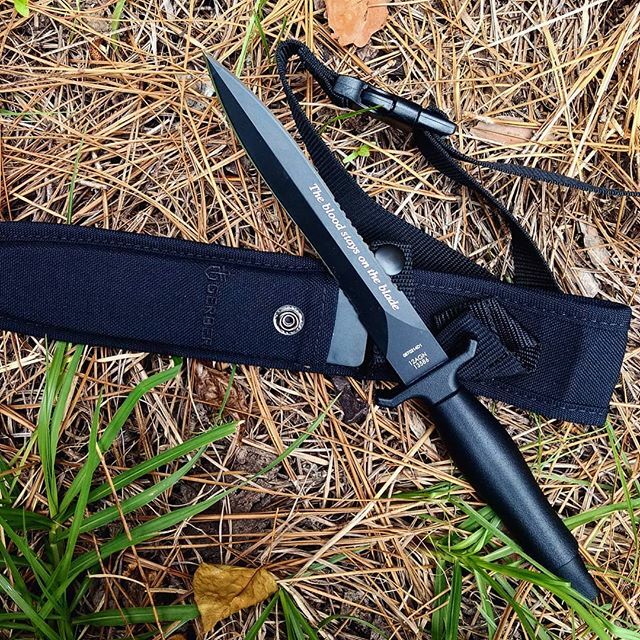 Gerber Mark II 22-01874. 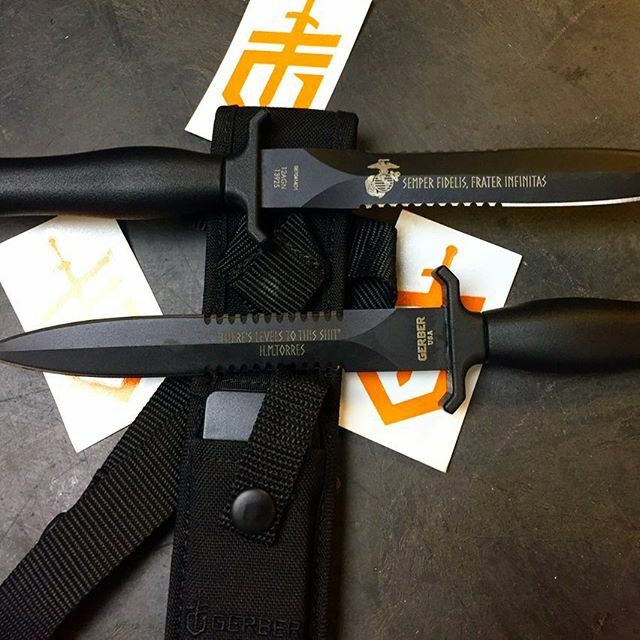 Introduced in 1966, the Gerber Mark II is one of the most popular and best selling knives ever. The 6.6 inch black oxide coated 420HC blade is double sided and double serrated which gives it the trademark look it is so well known for. The aluminum handle is 5 inches long which gives the knife an overall length of just over 11 and a half inches. A low profile ballistic nylon sheath is included for easy carrying.